Deer Flask With Shot Glasses | BUDK.com - Knives & Swords At The Lowest Prices! 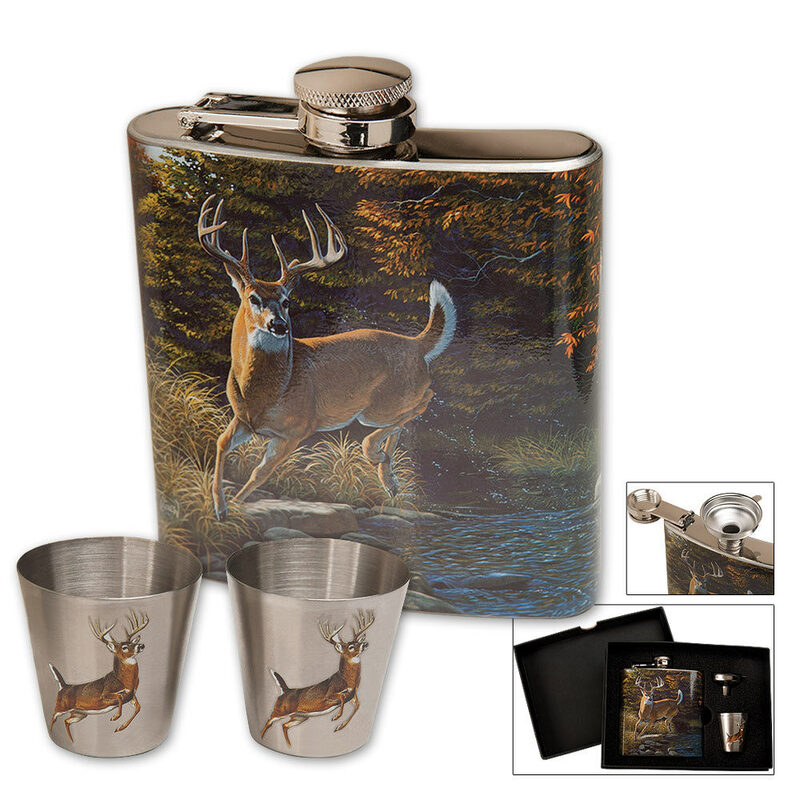 This Flask and shot glass gift set is constructed of stainless steel and features licensed art by world-renowned artist Al Agnew in a decorative gift box. This set includes a stainless steel flask, two stainless steel shot glasses and one stainless steel loading funnel.